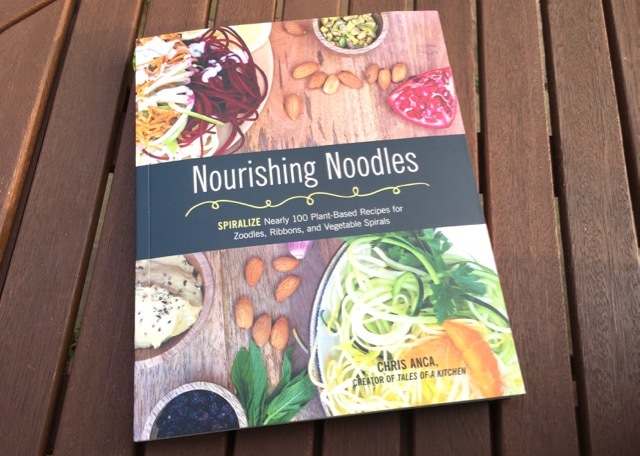 Australian 'Tales of a Kitchen' blogger's spiralizer cookbook, with raw and cooked recipes. There are lots of spiralizer recipe books on the market, book few are actually vegan and frequently use dairy ingredients. Apart from occasional use of honey, this is a fully plant-based recipe book. 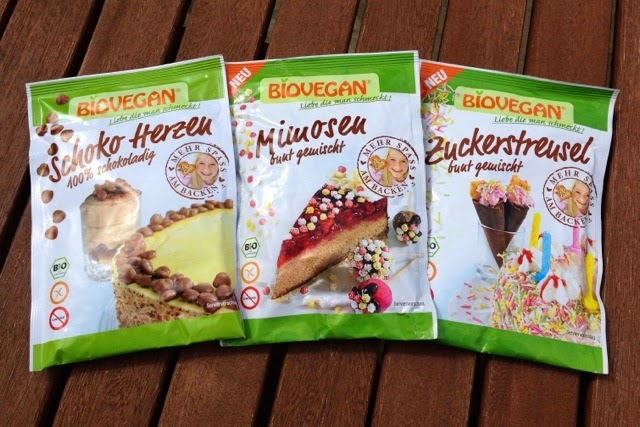 Hand-made vegan meat replacements. 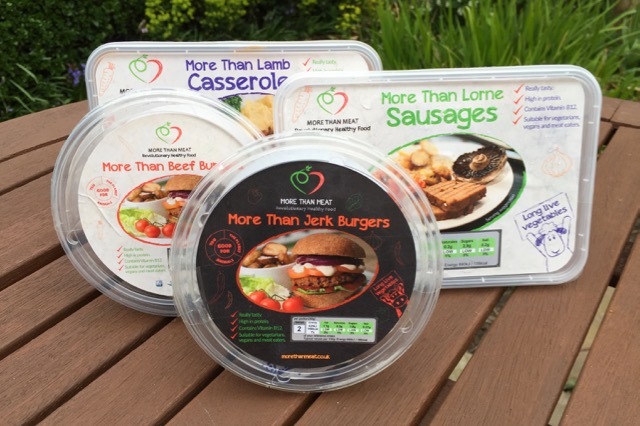 Burgers, sausages, casseroles and sausage rolls delivered across the UK. 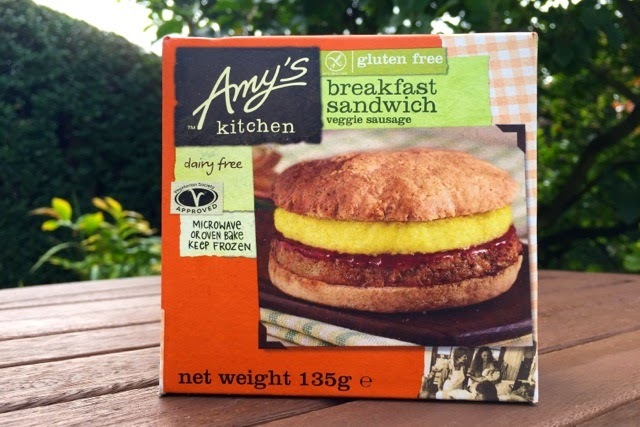 The products are shipped frozen and can sit in your freezer until you're ready to use them. Barry from the company gave us the opportunity to test the whole range and we jumped at the chance. New branding, new vegan options. 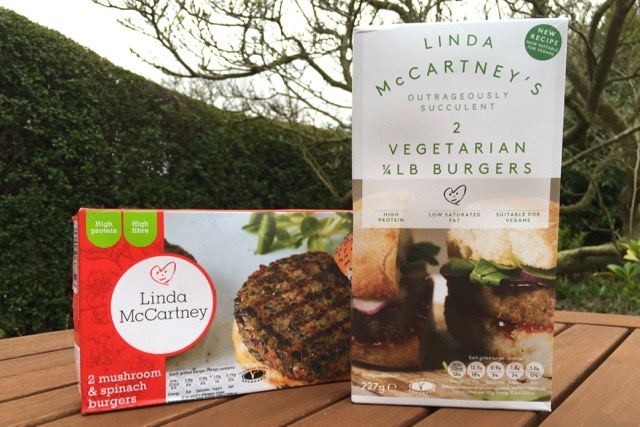 Mushroom & Spinach Burgers and Quarter-pounder Vegetarian Burgers. 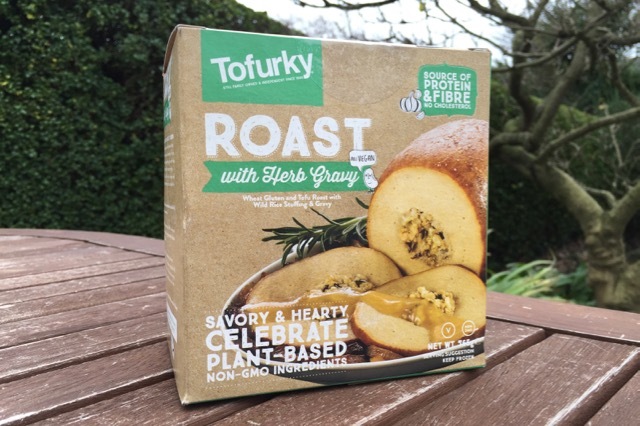 The word 'succulent' appears on the new boxes, but it's a word we've never had cause to use in a vegan burger review until now. 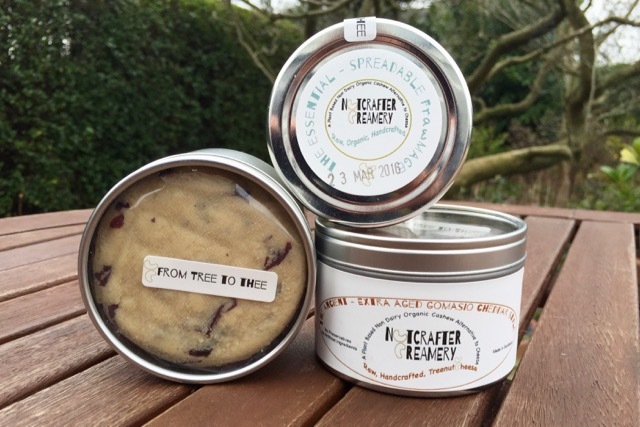 More cashew based vegan cheese, this time from the Glasgow artisan producer Nutcrafter Creamery. 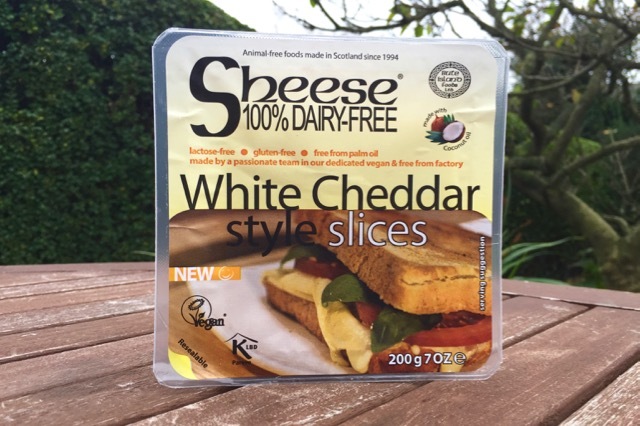 We recently reviewed Tyne Chease and thought it would be a good idea to compare it to the competition from north of the border. US faux turkey brand now widely available in the UK. The more expensive 'Celebration Roast' has been available for a couple of years, but this more economic roast will be more popular. It comes with stuffing and gravy, leaving you just to provide the roasties and veggies. 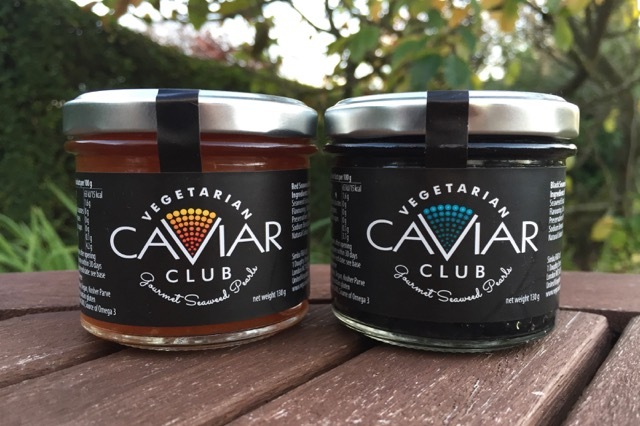 Red and black vegan caviar, or 'vegan pearls of deliciousness' as the company bills them. These gourmet seaweed pearls are a vegan alternative to caviar (fish roe) and are equally as versatile as a garnish or topping. The company sent us these jars to review. Another US import that arrived with a buzz this year. 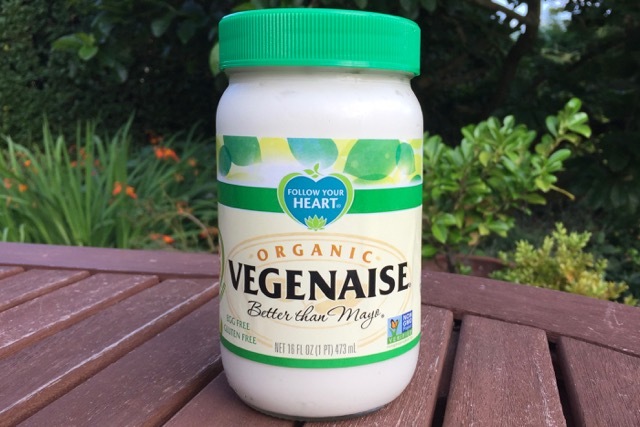 Follow Your Heart's egg-free mayo is labelled 'Better than Mayo'. 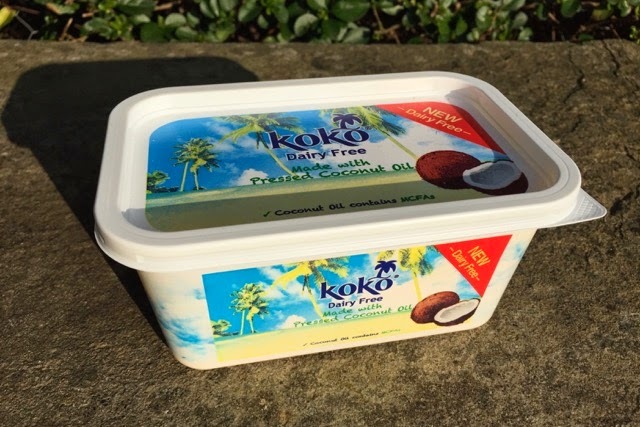 The range available in the UK includes plain, organic, soya-free and grapeseed oil varieties. 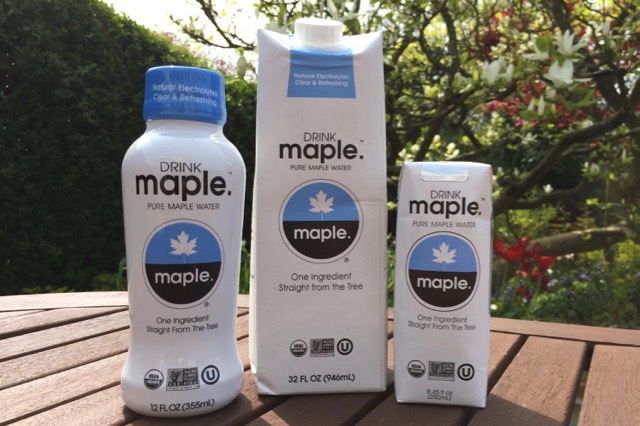 The standard and organic versions are soya based, combining soybean oil with soy protein. How does it compare with Plamil and other UK mayos? 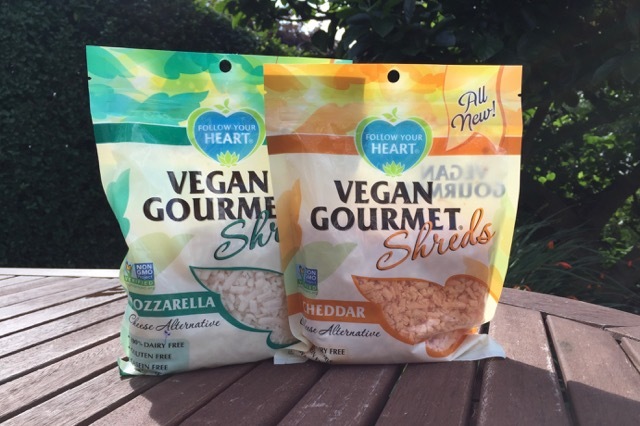 Follow Your Heart's pre-grated vegan cheese has recently been more widely available in the UK, including in our home town of Nottingham. 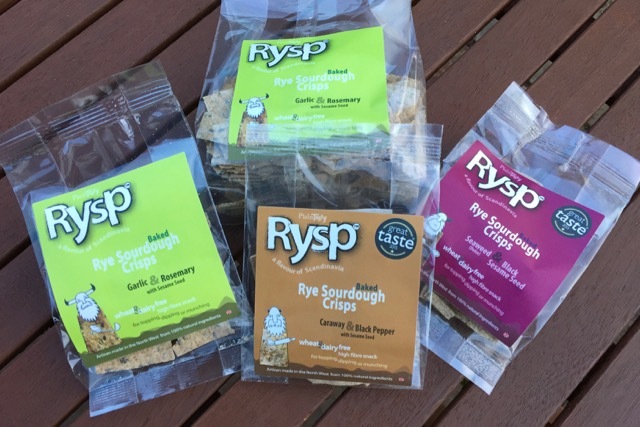 We grabbed a bag each of the Cheddar and Mozzarella flavours for our review. Is this another US import you should seek out? Bake at home dairy-free pizza with vegan cheese and vegan pesto. 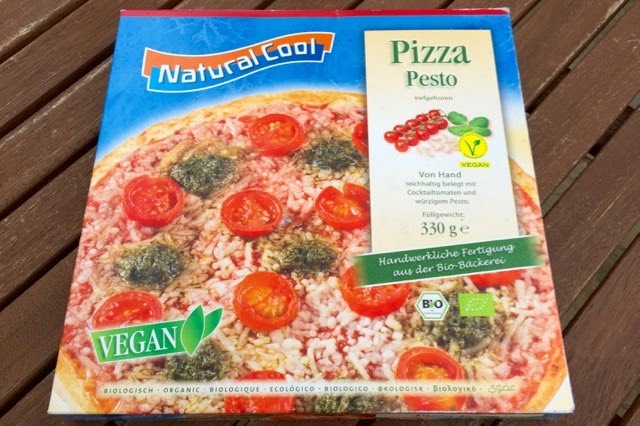 German brand Natural Cool is a frozen food specialist, but beware, it's not a vegan or even vegetarian brand. 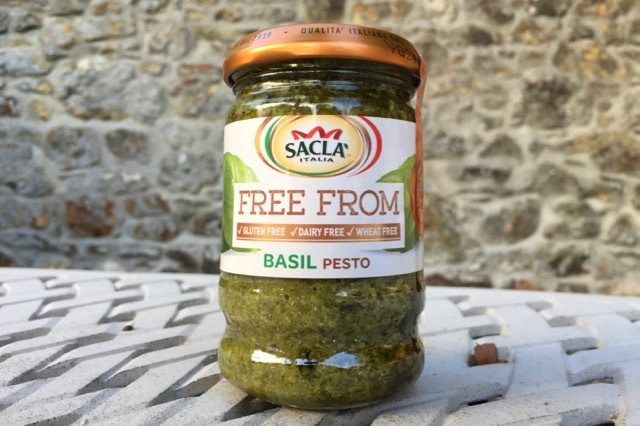 This pizza is available in pesto or peperoni (spicy vegan sausage) flavours. Is it better than the offerings from UK and US producers? 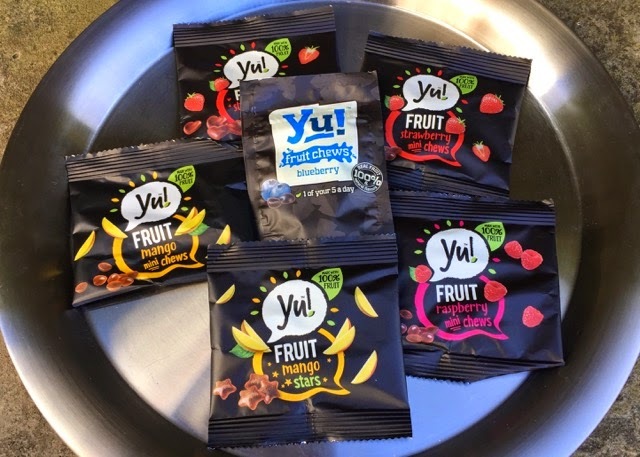 100% fruit based snacks, high in fibre with no added sugar. Now in new shapes and packs. 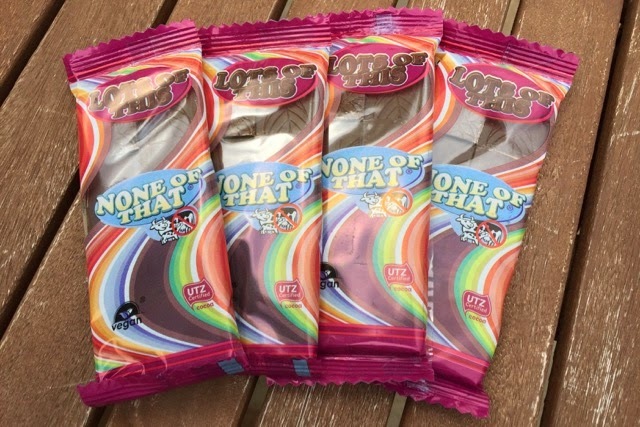 If you're looking to wean yourself off jelly sweets in favour of something less sugary, these fruit chews could help. They're basically dried fruit made to look like sweeties. Vegan easter egg made with almond milk. 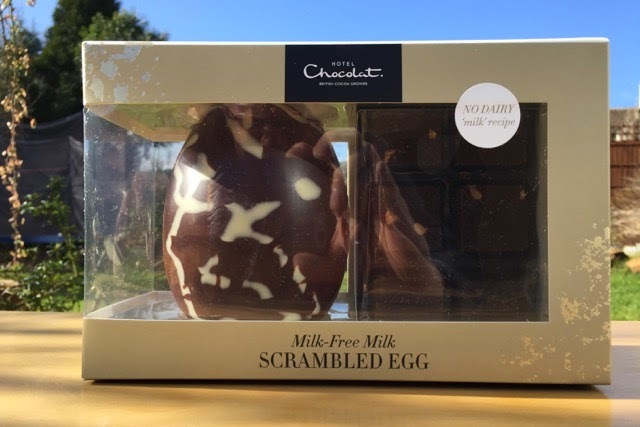 This new No Dairy chocolate range has launched this week just in time for Easter. It's not labelled 'dairy-free', but it is labelled vegan. Hotel Chocolat have eschewed rice powder and soya to replace the milk, in favour of almond powder, something we haven't seen before. Dairy-free, made from almond milk, by the Rice Dream people. Velvety Vanilla and Mint Chocolate Chip. We finally found some of this in a Little Waitrose, but not the two most exciting flavours - the Praline Crunch and the Salted Caramel were not stocked unfortunately. 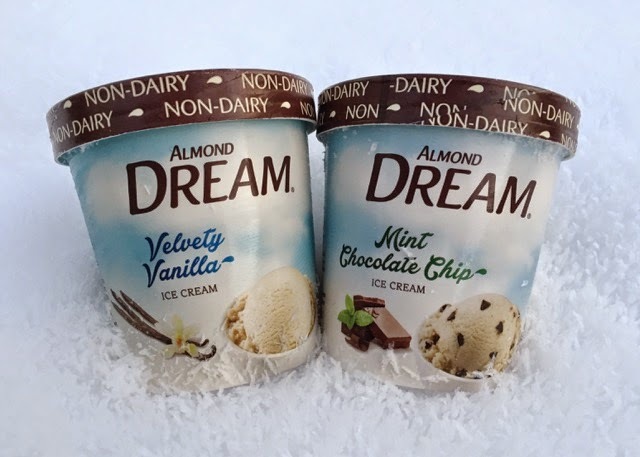 We'll add those when we find them, but does Almond Dream live up to the hype?